Nintendo Switch FIFA, WWE, & NBA 2K18: A Daunting Precedence to Set | Nerd Much? A couple of weeks ago, 2K Sports trotted Seth Rollins out to do a WWE style backstage promo for the next installment of the WWE 2K franchise, WWE 2K18. But, there was a twist. Rollins wasn’t beginning promotion for the standard Xbox One and PlayStation 4 editions of WWE 2K18. Instead, he announced that the upcoming wrestling sim would be coming to the Nintendo Switch. This is huge news. WWE 2K18 is now the 3rd large-scale sports simulation game coming to the Switch later this year; FIFA 18 is scheduled to hit the pitch for Switch on September 29th and NBA 2K18 is poised to arrive just before that on September 19th. And now, WWE 2K18 will bring the squared circled to Switch as of October 17th. These three titles have an important burden bestowed upon them. It’s up to these three games to prove that the Switch versions of these sports titles don’t have to be neutered editions. The Switch versions can’t pale in comparison to their other Xbox One and PlayStation 4 brethren — the future of 3rd party sports on Switch depends upon it. What Happened to Sports Games on Nintendo Consoles? The Switch has been fantastic with what it has been asked to do thus far. It’s an incredible indie machine. It already boasts a great library of indie titles with tons of additional games scheduled down the pipeline. And, of course, it’s home to the games of one of the best publishers in the world in Nintendo. But there’s a much bigger world out there for video games than just Nintendo titles and indie ports, and one of the biggest is sports sims. Since the Nintendo 64 era, Nintendo has fallen woefully behind in this genre. The mainstream soccer, football, baseball, hockey and basketball games were pitiful on the console – if they existed at all. However, it could be argued that wrestling experienced its gold age of gaming here with titles like War Zone, Attitude, WrestleMania 2000, No Mercy, and so many more – but that’s beside the point. The Gamecube didn’t fare much better. While EA did its best to put their sports title on the system, they were never of equal standing to what was on the PlayStation 2 and Xbox. They were, as I suggested above – neutered. The Gamecube couldn’t keep up with the other two systems as far as hardware goes, and thus the games faced dramatic changes to be ported to the GC. And, publishers certainly don’t want to invest time and money into a different iteration of a game that assuredly won’t sell as well as the original versions. Thus – why bother? So, they didn’t. Publishers stopped putting their sports sims on the system, and eventually, sporting games died out on the Nintendo Gamecube. And for the Wii and Wii U, they pretty much never existed at all. It’s been tough going as a sports fan playing on Nintendo systems. With the Switch, companies like EA and 2K Games have a chance to change that. 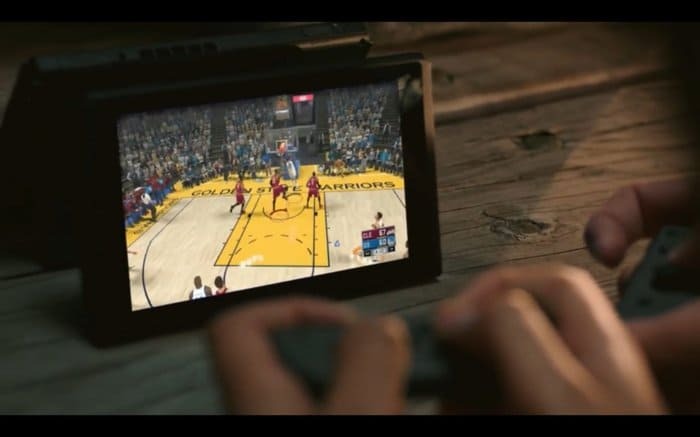 When Nintendo dropped its first sizzle reel for the Switch, one of the games within it was NBA 2K18. It was reassuring to see that a mainstream and well-reviewed, sporting series was hitting the Switch. But just because NBA 2K18 is coming to Switch, that doesn’t guarantee us that we’ll be getting the same quality experience that typically comes to the PlayStation 4 and Xbox One. The same goes for FIFA 18 and WWE 2K18. We don’t know what we’re getting with these Switch ports. There’s no denying the fact that the Switch is inferior in hardware to what’s inside Sony and Microsoft’s boxes. But just because the hardware specs aren’t equivalent, doesn’t mean that the game itself has to be sub par. However, things are already looking worrisome as far as FIFA 18 goes. 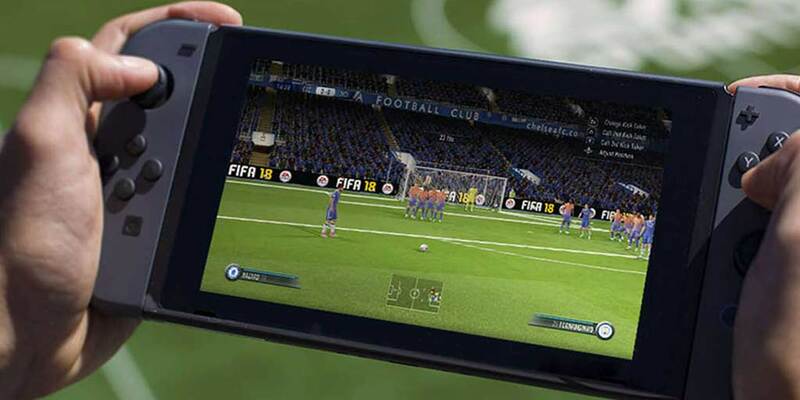 “Upon playing FIFA 18 on Switch for the first time, it becomes apparent that this is definitely not FIFA 18. This is not the same game I played a month ago on PS4. From the character models to the feel of the dribbling, almost everything feels quite far removed from FIFA 18 on PS4 and Xbox One. It’s probably closest to FIFA 15 or 16‘s gameplay in its on-pitch action–a little quicker both to respond and to move–and given I wasn’t a huge fan of FIFA 18 at preview stage, that’s probably a good thing. Dayus does call the upcoming port “feature-rich”, however, he says the feel of the game is something akin to versions released two or three years ago. This is worrisome, to say the least. At this point, we don’t know what to expect as far as differences go with WWE 2K18 and NBA 2K18‘s Switch versions. But more likely than not, those games will also have to make compromises. It’s up to 2K Games to prove to us why those differences aren’t dealbreakers. Don’t Screw This Up EA/2K! The three sports games I’ve mentioned above have a tall responsibility. They possibly represent the face of sports on the Switch for years to come. Fans are smart enough to know whether NBA 2K18, FIFA 18, and WWE 2K18 are inferior products to what’s available elsewhere. If the Switch versions aren’t up to par, people will play them elsewhere. Should this trio of games fail to sell on the Switch? Well, kiss sporting games on the system goodbye – at least for the time being. EA is going to watch very closely to how FIFA 18 does on Nintendo’s hybrid. 2K Games will do the same with WWE 2K18 and NBA 2K18. If these games don’t sell, the publishers will likely pull out resources from future editions. On top of that, if these big time third party publishers can’t get solid versions of their games to sell on Switch, why would others? Should this sports trio fail to be of quality, or just fail to sell, you can likely kiss hopes of other big third party games goodbye. Franchises like Call of Duty, Assassin’s Creed, Grand Theft Auto and the like will never even be a possibility on the console. It just wouldn’t be financially worth it to the publishers. This fall, we’ll be seeing a major milestone with the release of these sports games on the Switch — let’s just hope it sets a great precedence going forward.